Engaging with the Word — the beginning of all things — is essential for growing in our relationship with Jesus. Discipling by our Father through the Scriptures transforms our mind, encourages our heart, and changes us to be more like Jesus! Creative worship through Bible Journaling — creating art directly on the pages of a Bible or journal — is a powerful way to more deeply engage with the Word. While we create, we document through art what the Lord teaches us, spending time in meditation and increasing our ability to recall passages. 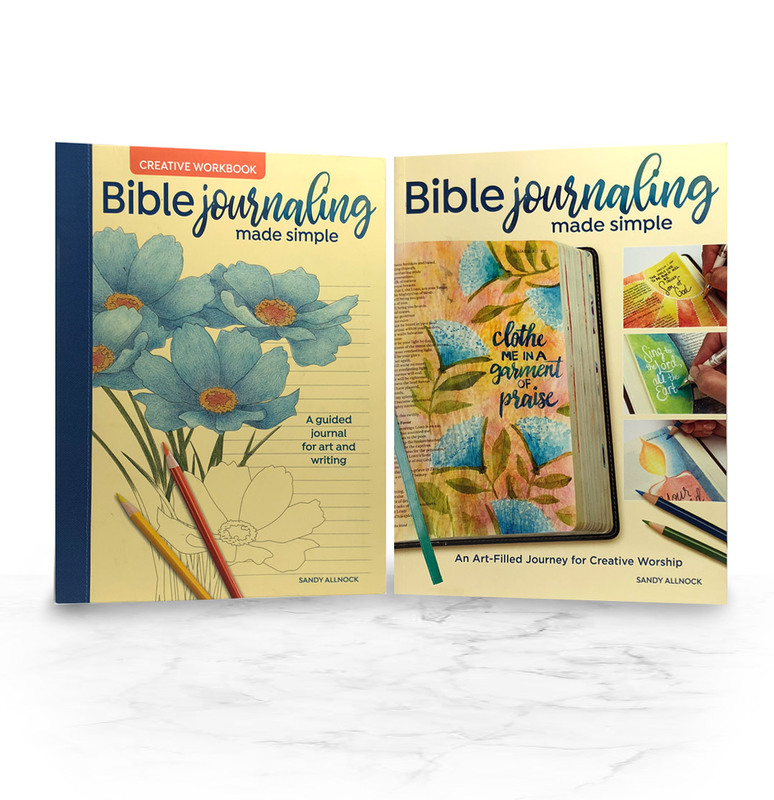 In the new books Bible Journaling Made Simple and its counterpart Bible Journaling Made Simple Workbook, author Sandy Allnock is your companion on an adventure in creative worship using just a few tools — some pencils, some watercolors … and a heart for the Lord. These books will encourage your journey and inspire even a novice to begin stepping out into creativity, hand in hand with Jesus! Links below are to the main book; please search their websites for the workbook. To be added to this link list, email! You may need to request them; not all locations are getting them right away but can order them in!